This steel frame fits ONLY Touring cars and Roadsters. 35-1/4" wide and 9-1/2" high. Slightly curved lower part that fits cowl. NOTE: Windshield frames do not include filler blocks #7803D. 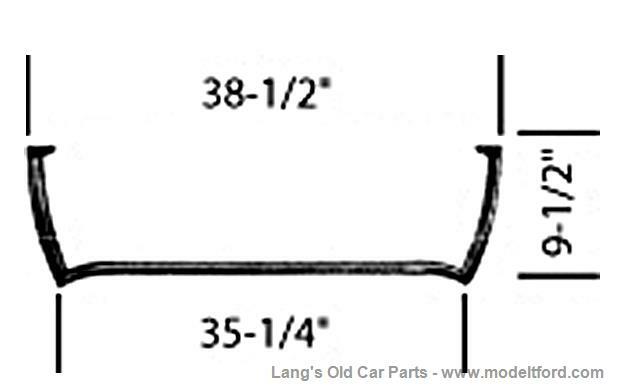 *1926-1927 cars did not use brass channel.